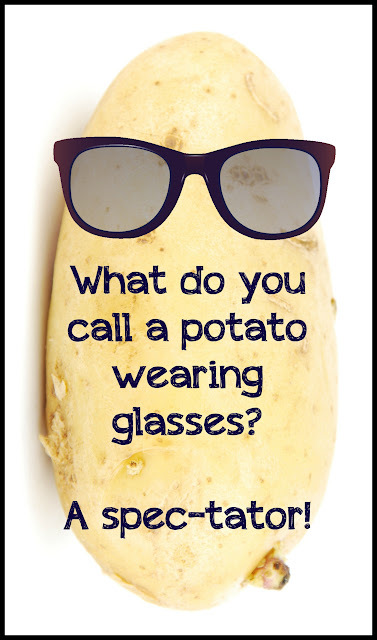 All joking aside, potatoes are serious business in this house. I start listing what I *could* make with them -- baked potatoes...boiled potatoes...mashed...latkes...roesti -- and Luke will call out, "OK, FORREST!" Except for Celia (who is allergic to white potatoes), I don't think anybody in this house has met a potato they haven't liked. This week, I'm sharing a roundup of our favorite potato recipes for you to try out. 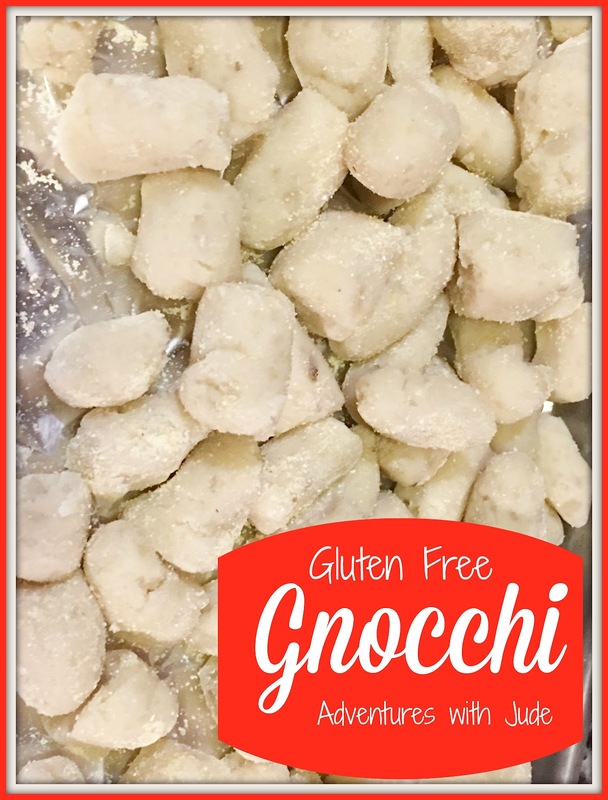 I've added one new "recipe" - not so much a recipe as something brilliant thought out by the domestic goddesses somewhere at Pinterest. 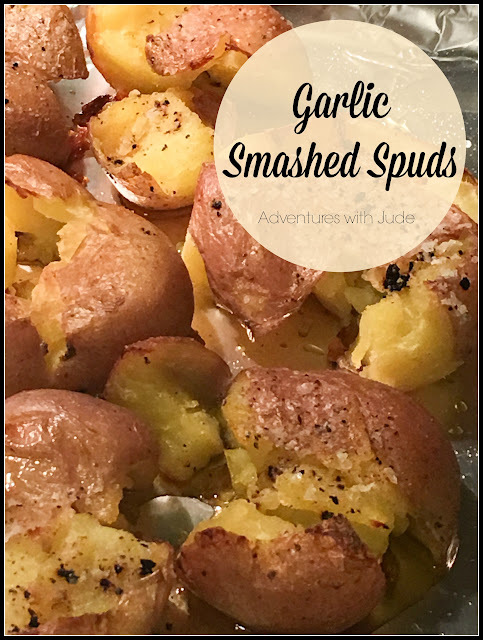 Garlic Smashed Spuds - parboiled then roasted, these are crusty and garlicky bits of yum. 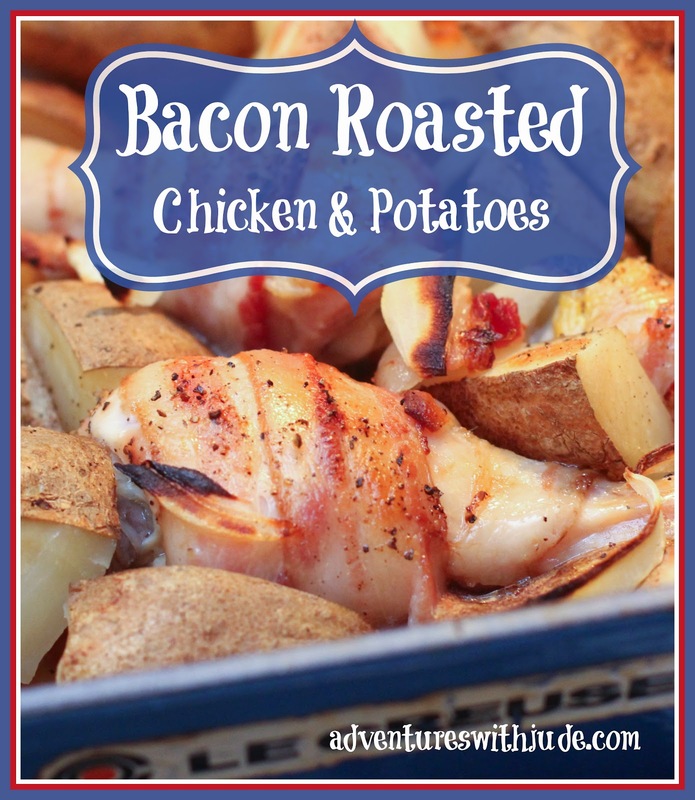 Bacon Roasted Chicken and Potatoes - one pan means easy cleanup. Plus...bacon. 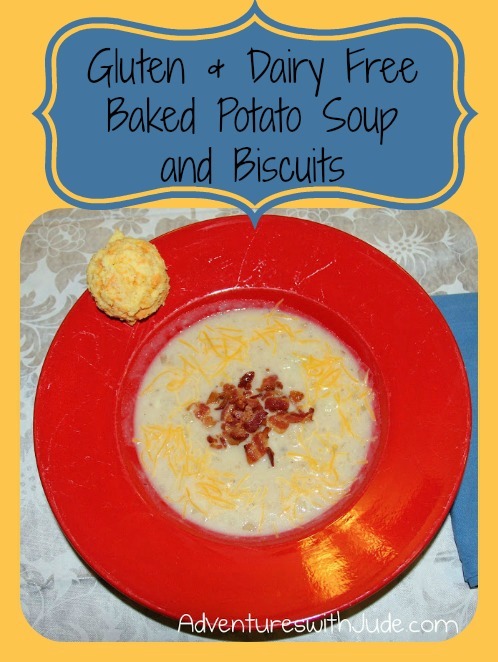 Baked Potato Soup - You can make this from scratch or with leftover mashed potatoes. 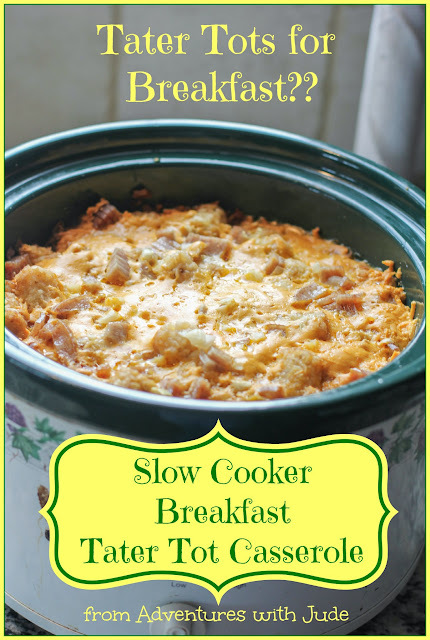 Slow Cooker Tater Tot Breakfast Casserole - tater tots aren't just for dinner. Potato Gnocchi - potatoes are the feature ingredient here. No putting these spuds on the sidelines! Slow Cooker Baked Potatoes - yes, IN A CROCK POT! No lie! 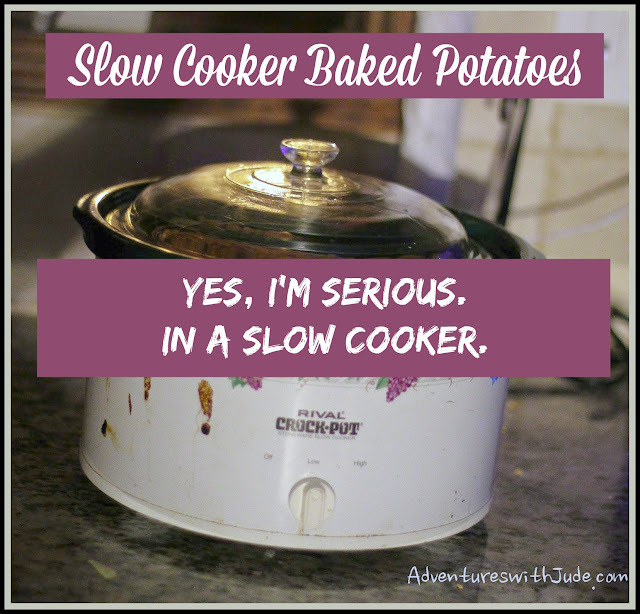 You can bake potatoes in a crock pot. For real! Wash, pierce them with a fork, and load them in. Cover and set the pot to high (4 hours) or low (6-7), and walk away. Chili in one pot, baked potatoes in another...dinner is ready when you walk in the door! Don't be a couch potato! 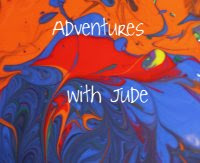 Go make one of these recipes and enjoy!